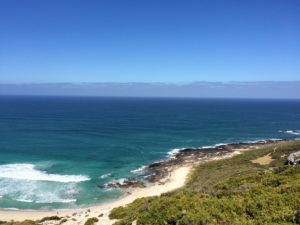 Margaret River is, in my opinion, the perfect getaway place for a weekend away, I have been going there 2-3 per year since 2010. It’s about 3.5 hour drive from Perth, and is WA’s wine producing region. To really appreciate this place, I would say that hiring a car is a must and going in a group is better. 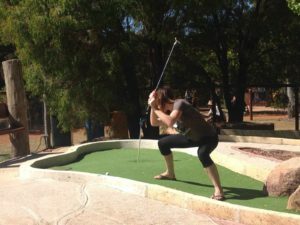 As a backpacker there are 2 options to choose from for staying in “Margs”, the first is to book in at one of the backpackers Innetown Backpackers or Margaret River Backpackers. 11am, how about starting off your day with a BYO picnic (or buy some of what they sell in this food section) and FREE seated wine tasting at Stormflower Winery (3503 Caves Rd, Wilyabrup WA 6280)!? This place is great, I wish last time I went there I didn’t have lunch before I went. 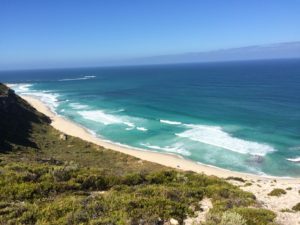 After a picnic lunch you can head off to your accommodation (you’ve of course chosen Contos campground), or you can go to Amaze’n Margaret River (9978 Bussell Hwy, Margaret River WA 6285)!!! Whichever order you decide to do this in, you NEED to go to Amaze’n to take a cheesy tourist photo with their giant sign, play mini golf, get lost in a hedge maze, play some of their games, and take a relaxing walk around the place, or sit and have a coffee and cake. 4pm, After spending a few hours at Amaze’n you should go back into town and spend some time looking at the shops there, particularly Lloyds and Rugs in the Forrest. 5pm, Time for happy hour at Swings!!!!!!!!! (85 Bussell Hwy, Margaret River WA 6285) They have wine and beer on tap, and if you choose to stick around for dinner their pizza is fantastic! 6pm, If you didn’t stay at Swings for dinner, I would suggest having a BBQ for your first night in Margs, otherwise head over to Settlers Tavern (114 Bussell Hwy, Margaret River WA 6285). 7pm, Head to Cape Mentelle (331 Wallcliffe Rd, Margaret River WA 6285) to see if you can get in to watch a movie in their outdoor cinema, if reading this before you go down to Margs, try and pre-book your ticket. 5am, Head to the beach early and watch the sunrise. If you don’t want to get up that early, I don’t blame you, I’ve only done it twice in 7 years. For those that don’t want to be awake early, lazily head back into town and go to the bakery (89 Bussell Hwy, Margaret River WA 6285), or the Sails Too Café (117 Bussell Hwy, Margaret River WA 6285) for breakfast. 9am, Investigate a cave in the morning, I think this is the best time as the groups are usually smaller. My suggestion is also Mammoth Cave, you can spend as much time there as you want, it’s a self-guided tour, and it’s not as narrow as the other caves. 11am, Eagles Heritage Wildlife Centre. At 11am they have a flying display of their birds of prey, where you can have one sit on your arm! This is a must do as all the money that they make goes into breeding endangered species and rehabilitation of injured animals. 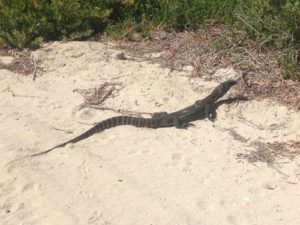 While in Yallingup stop off at the beach there and take a walk along until you get to a spot that you think is nice to have a picnic dinner while watching the sunset. Maybe bring a bottle of wine with you too. Then it’s your choice if you stay for a third day too, or head back to Perth that night.